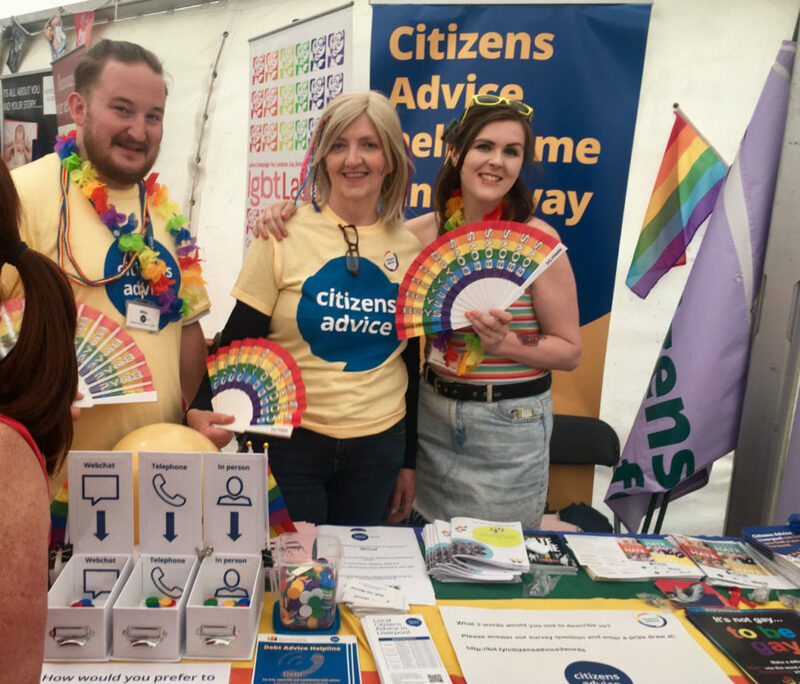 Citizens Advice Halton staff, along with advisers from across the City Region took time out of their weekend to attend Liverpool Pride 2018 and take part in the parade and staff an information stall. Last year Citizens Advice Halton dealt with 61 discrimination related enquiries and like with Hate Crime statistics issued by Cheshire Police, many feel this is just the tip of the ice berg. “Being part of Pride celebrates our diversity within the Citizens Advice service. We don’t have anything like this in Halton but we know many local people go to Liverpool Pride so we wanted to send the vital message to Halton’s LGBT community, their friends and families that we really are here for everyone. 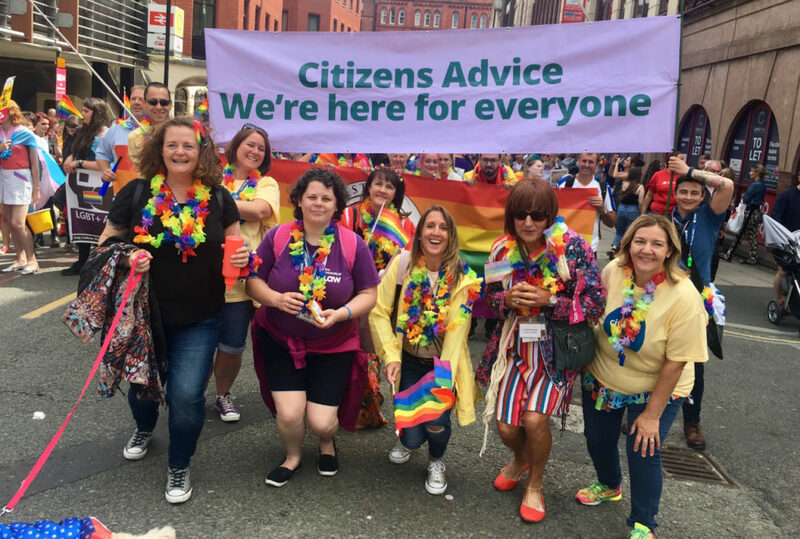 As part of our commitment to equality and diversity, Citizens Advice Halton are encouraging anyone from the LGBT community in Halton to volunteer. Anyone interested in volunteering should click below or ring and leave a message on: 0151 257 2449.